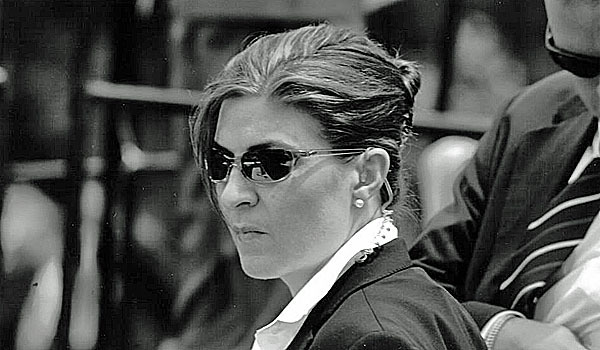 In January, a Secret Service agent named Kerry O’Grady caused outrage when she posted on social media that she wasn’t willing to take a bullet for President Donald Trump. O’Grady was initially put on paid leave, but eventually did lose her job with the Secret Service. But there is speculation that she is simply being transferred into another government job instead. In October of last year, O’Grady wrote on Facebook, “I would take jail time over a bullet or an endorsement for what I believe to be a disaster for this country and the strong and amazing women and minorities who reside here.” She also lamented the Hatch Act, a law designed to prevent federal employees from directly supporting political candidates. Now, the Secret Service has confirmed that she will be removed from her position as an agent, but other agents fear that she will simply be moved and that top officials are trying to keep her from being fired. Rumors are flying that she will simply be placed in another division of Homeland Security and allowed to serve out her time until she can retire and get a pension. There is certainly precedent for this kind of “reshuffling.” Secret Service Deputy Director A.T. Smith was forced to resign in 2015 after the agency had numerous security lapses, but he was also allowed transfer to another DHS position. Will the same happen to O’Grady? Only time will tell. What do you think should happen to her?